Natural is best for your overall health and for your skin in particular, because what you put on this, your largest organ, can end up in your other organs, too. Lisa Tristram reports. 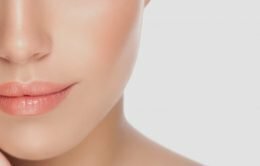 If you apply even minute amounts of chemicals to your skin every day, it stands to reason that, over time, this will add up to quite large quantities. Check labels, and avoid these six shockers. Parabens are well known as cancer-causing preservatives, and this has caused manufacturers to seek other long-life solutions, like these impossible-to-pronounce preservatives which are found in many liquid personal care products – shampoo, conditioner, sunscreen, body wash, lotion, liquid soap, and make-up remover. The main concern is a possible allergic reaction; but worse than that, they have been linked to lung problems and neurotoxicity. It’s a tricky one, however we must ask if shelf-life is more important than our health. These help products like nail polish, perfume and make-up to adhere to skin. Despite being banned from cosmetics in the European Union (EU), they are still found in products from the USA, while in Australia we remain undecided. Sadly, the people most vulnerable to these potentially carcinogenic and endocrine-disrupting chemicals are pregnant and breast-feeding women. Choose natural fragrances like essential oils and phthalate-free nail polish. Used in moisturisers and anti-ageing products as a stabiliser and binder, it also acts as a foaming and lubricating ingredient in hair products and sunscreen. It can break down into acrylamide, a carcinogen which may cause developmental and reproductive issues, which is why the EU sets limits for the amount of allowed in products – however, the USA does not. Despite the fact that the Environmental Protection Agency (EPA) considers this substance to be toxic enough to necessitate workers wearing protective gloves, clothing and goggles, this is found in a huge array of products – stick deodorants, body and face creams, exfoliants, hair products – where it gives ‘slip’ and forms a lubricating layer. The problem is, it easily penetrates the skin, where it weakens cell structures, The EPA also warns people handling it in large quantities against skin contact to prevent brain, liver, and kidney abnormalities. Thankfully, it is becoming more common to see products labelled ‘SLS/ SLES-free’. This harsh foaming agent forms the basis of many detergents, shampoos, and body washes, including baby products, where it can dissolve the proteins in young eyes, preventing them from developing properly. 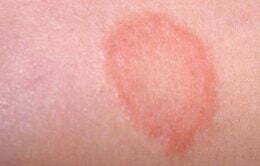 It may also damage the skin’s acid mantle resulting in eczema-like symptoms which are not eczema at all. Used as an antibacterial in body wash, hand wash and soap, the EPA actually registers this as a carcinogenic pesticide, and lists it as a risk to both human and environmental health. Even worse, its manufacturing process produces dioxin, a toxic hormone-disrupting chemical which can change DNA, decrease fertility, increase birth defects, and suppress immune function.